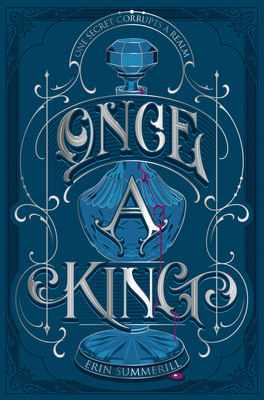 A young king searches for a way to save his kingdom in this romantic fantasy from Erin Summerill, who was called “absolutely marvelous” by New York Times bestselling author Sarah J. Maas. For twenty years, Channelers—women with a magical ability—have been persecuted in Malam by those without magic. Now King Aodren wants to end the bloody divide and unite his kingdom. But decades of hatred can’t be overcome by issuing decrees, and rumors of a deadly Channeler-made substance are only fueling people’s fears. Lirra has every reason to distrust Aodren. Yet when he asks for help to discover the truth behind the rumors, she can’t say no. With Lirra by his side, Aodren sees a way forward for his people. But can he rewrite the mistakes of the past before his enemies destroy the world he’s working so hard to rebuild? Erin Summerill returns with a high-stakes fantasy full of romance, magic, and revenge perfect for fans of Susan Dennard and C. J. Redwine.